Our store expansion last year has allowed us to add a variety of new products designed to elevate your outdoor living space, and we’re excited to welcome you for the 2019 season. 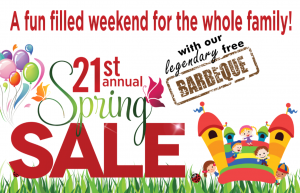 This is Total Tech’s 28th year providing complete pool services to the Oakville community, and we invite you to celebrate by joining us for our spring sale and BBQ! Rain or Shine, we’ll hold our sale and BBQ on location at our pool store (1380 Speers Road in Oakville). Come out to enjoy the sale & BBQ! Huge savings on pumps, heaters, filters, chemicals, and salt systems. Scrumptious food from our legendary BBQ. 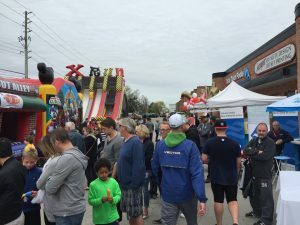 Games, activities, prize draws, and more. Full Opening – $339: This package has it all. Our trained staff will remove water and debris from your cover, reinstall all fittings and equipment, clean the waterline, de-winterize equipment, and more! Partial Opening & Safety Cover – $259: Homeowners will be responsible for removing all water and debris, but our staff will step in to handle all other tasks like reinstalling fittings, cleaning your deck, testing equipment, and more. Pool Start-Up – $189: This package is designed for people prepared to open their pool themselves. Let Total Tech staff come in to take care of the details, installing deck equipment and starting and testing the system. Total Tech staff undergo extensive professional training, both in house and through accredited association courses, so they can deliver the best pool services to you. Wherever you’re coming from – whether Oakville, Mississauga, Burlington, or somewhere nearby – we look forward to seeing you soon at our Spring Sale! Total Tech Pools has been providing award-winning pool services in Oakville, Burlington, Mississauga and surrounding areas since 1991. Contact us today to learn more about our services!